ArchitectureConnections: Architecture & the Client: Hosanna! A Client! Architecture & the Client: Hosanna! A Client! The skeptic in me recognizes that Frank Lloyd Wright's establishment of the Taliesin Fellowship had more to do with his lack of work than his desire to nurture emerging architects. His students were intended to double as the production staff for his practice; however, for quite a long while work at Taliesin was simply non-existent. Eventually Malcolm Willie, a professor at the University of Minnnesota, wrote to Wright and offered him a commission for a small house, breaking the dry spell. Upon visiting Taliesin, Willie noticed his letter to Wright posted on the bulletin board with a large note scrolled across it. The note read "Hosanna! A client!" This story underscores the importance of the client to the architect. 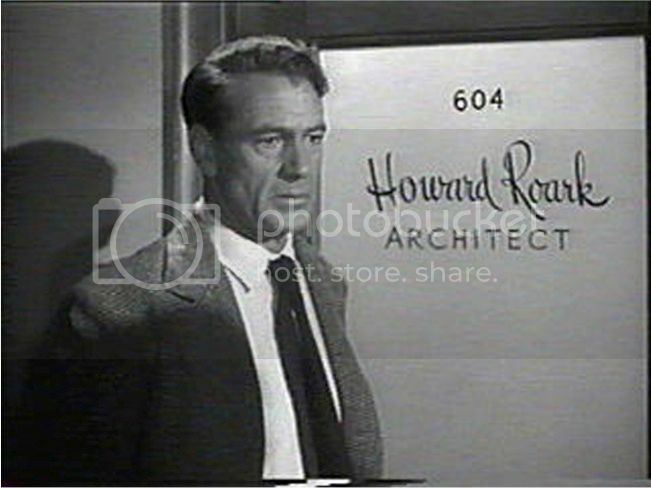 Interestingly Wright was the inspiration for the Howard Roark character in the book and movie "The Fountainhead." This slice of popular culture is largely responsible for the public's perception of the architect and the client, however false those perceptions may be. A commonly held image of an architect is that of a rugged individualist, toiling away, single handedly designing his creation – a masterpiece, if the architect is left alone and allowed to create whatever he desires. 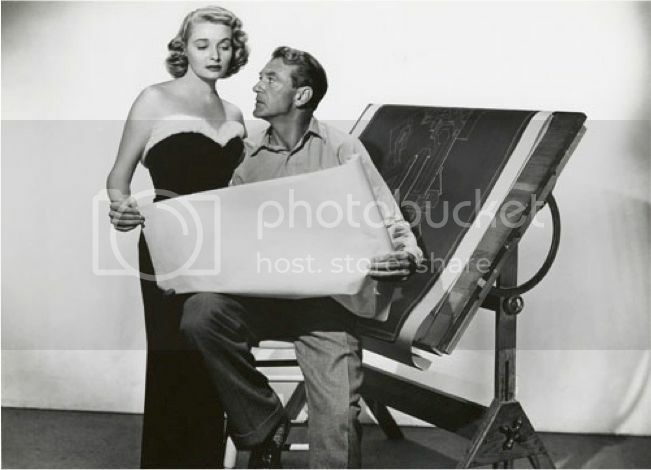 Once the design is complete, he presents it to the client, who, of course, loves it. Even if the client doesn’t like it, they at least have the decency to know that they should, and it must be because of their own lack of knowledge and vision if they don’t! In reality the connection between the architect and client is very different than the popular perception. Architecture, as opposed to painting or sculpture, is a collaborative art. Of the architect's collaborators, none is more important than the client. While a good client cannot make a bad project good, a bad client certainly can doom what might otherwise be a good project. To the architect, there is no greater blessing than a good client. I recently had the honor of presenting such a client with the AIA North Alabama Collaborative Achievement Award. The recipient was Mrs. Francis Wallace. 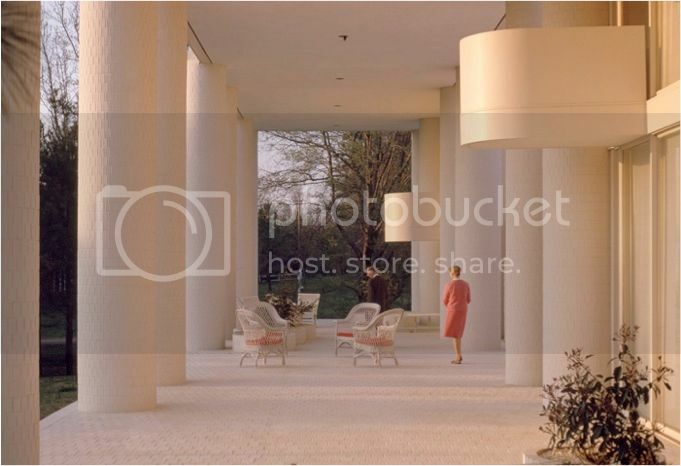 The connection, between she and architect Paul Rudolph, is a story worth retelling. 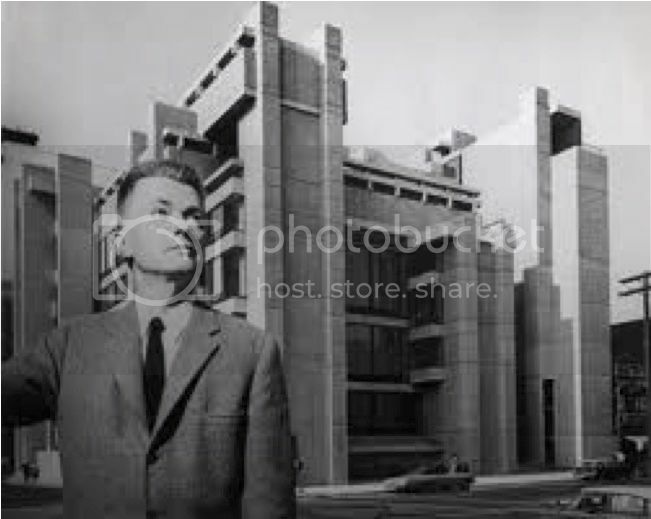 While growing up in Athens, Francis Wallace became friends with Paul Rudolph. She followed his career and, once she and her husband John decided to build a house, they approached Rudolph. Frances enjoyed painting and took some art classes under Georgia O’Keeef’s sister, Ida. John had earned a degree in Industrial design from the Pratt Institute. The Wallaces wanted to make an artistic statement. They wrote Rudolph a letter in which they laid out some programmatic requirements and stated, in essence, that they wanted a house that would pay homage to the Greek Revival architecture of the South. 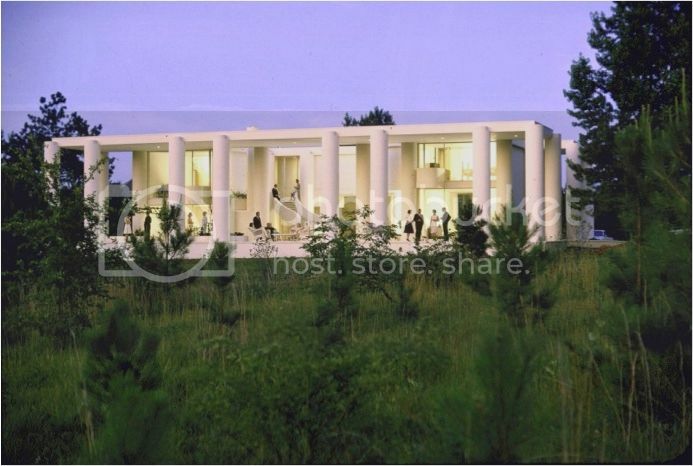 Rudolph obliged, designing a stunning modern interpretation of a southern Greek revival house, completed in 1964. Thirty-two columns, white painted brick skin, a swooping stair, and a large porch for entertaining harken back to the architecture of the South. The Wallaces were active participants in the creation of the house. In my email dialogue with the Wallaces son Garth, he explained this relationship better than I can. Beyond their collaborative role, the Wallaces possessed the vision to hire a talented architect to design a habitable work of art. They possessed the courage to stretch their financial resources to make it happen. And after the house was complete they proudly opened it to the press, including publications such as House & Garden and Life magazines. The house was featured in several books as well. Periodically the Wallaces would allow tours from art and architecture students or just plain old architecture buffs, such as me. 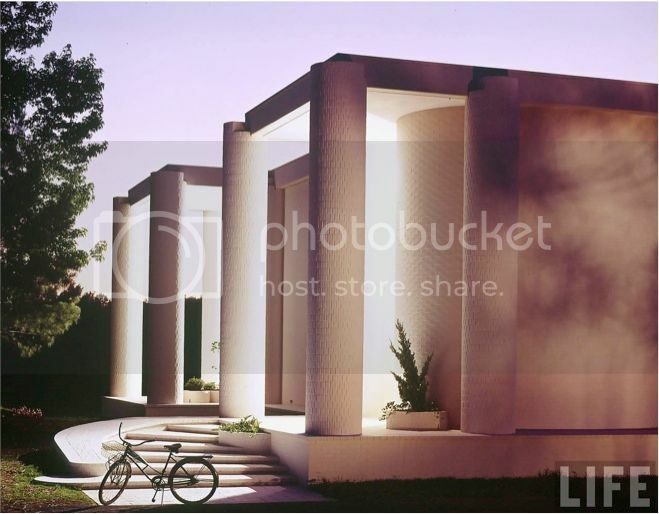 Mrs. Wallace also hosted frequent gatherings on the porch, where architecture was a natural topic of conversation. Indeed, the Wallaces possessed all the traits of the ideal client – able collaborators, courageous visionaries, and lifelong advocates. The similarities between the Wallace House and Greek Revival architecture may, at first, seem distant. Believe it or not, connections such as these will become apparent in the next blog post….Take These Chains.